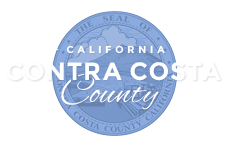 Taxes, fees and other charges are not considered paid until the payment has been received and posted by Contra Costa County. By using PTOPS, I accept that I am solely responsible for the accuracy and usability of the information I provide. I acknowledge that Contra Costa County assumes "NO LIABILITY" as a result of errors, omissions or discrepancies that result in a non-acceptance of my transaction. The Tax Collector's Office cannot guarantee uninterrupted availability of this website. Delinquent fees and penalties may result from such unavailability. It's recommended that you pay your taxes early.